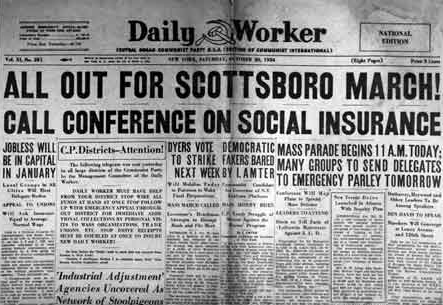 Television: A New Weapon for the New Imperialist War from The Daily Worker, June 14, 1930. Reprinted in Jump Cut, a Review of Contemporary Media. 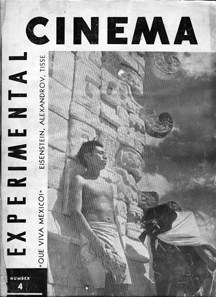 On the Theory of Sources from Experimental Cinema, Vol. 1, No. 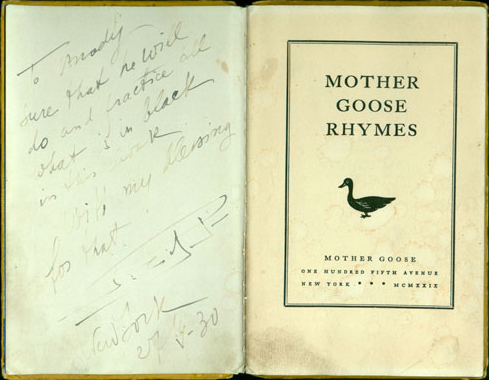 3, early 1931. Reprinted in Jump Cut, a Review of Contemporary Media. Paris Hears Eisenstein from the British film journal Close Up, April 1931. Reprinted in Jump Cut, a Review of Contemporary Media. The Revolutionary Film: Problems of Form from New Theater, February 1934. Reprinted in Jump Cut, a Review of Contemporary Media. 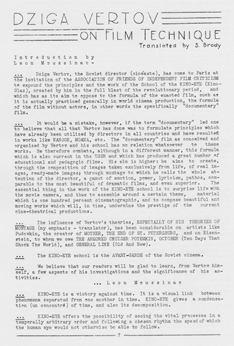 Dziga Vertov on Film Technique translated by S. Brody from the January 28, 1935 issue of Film Front. Soviet filmmaker Dziga Vertov's theory of the "Kino-Eye",a ground-breaking approach to documentary montage. Working from the French, Brody was the first to translate Vertov's writing into English. Take some time to watch Vertov's classic Chelovek s Kinoapparatom(Man With a Movie Camera). Two of Sam Brody's From Up in the Gallery by Lens from Film Front, 1935. 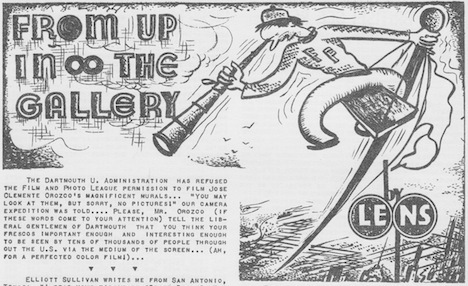 How to Strike Effective Blow At Hollywood Anti-Labor Films from The Daily Worker, July 15, 1935.